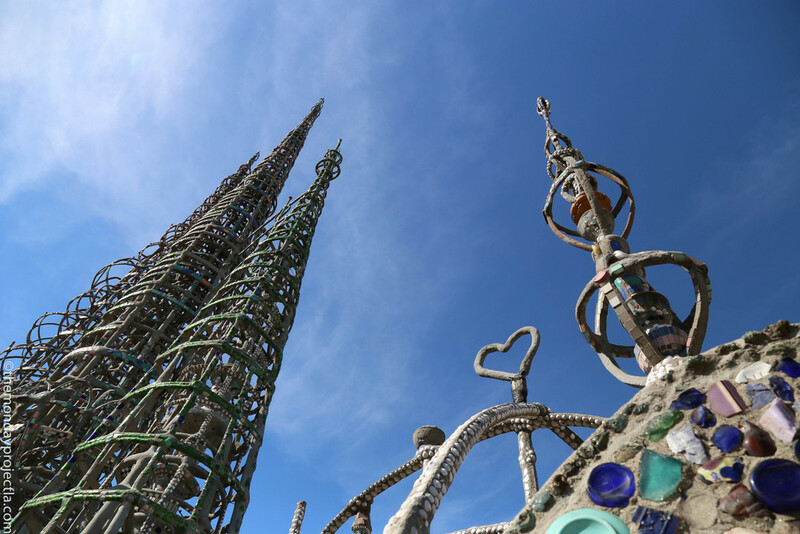 WATTS TOWERS, a tiny Italian man’s grand sculpture in South LA. It took him 34 years to build. He did it single-handed. No machinery. No formal training. Near penniless. 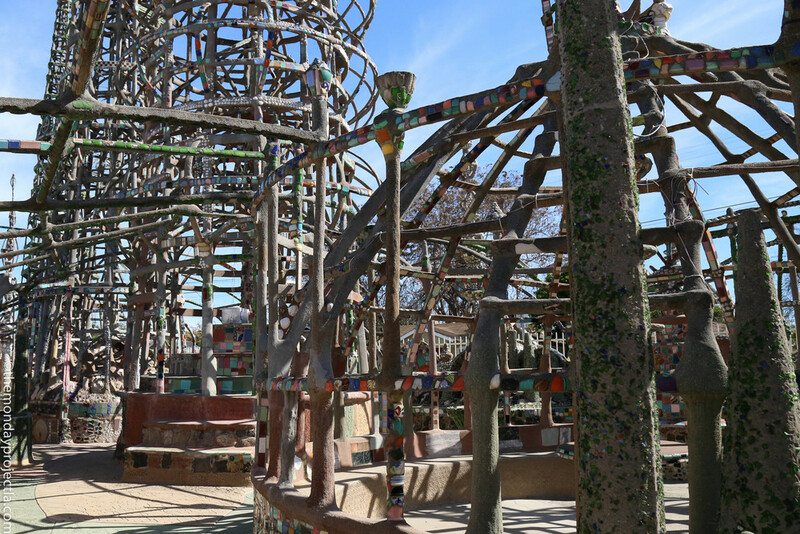 “I had it in mind to do something big, and I did it,” said Sam Rodia, the tiny Italian man who built Watts Towers. Go see what Simon Rodia made. It’s nothing short of majestic. Starting in 1921, Rodia started constructing what would become seventeen intertwining sculptures out of structural steel and mortar. He decorated each with a mosaic of broken glass, sea shells, tile, cutlery and all manner of found/donated items. The tallest of the towers stands 99.5 feet and contains the longest slender reinforced concrete column in the world. He named his masterpiece Nuestro Pueblo, “Our Town.” Almost everything he made was an homage to his homeland of Italy and memories from his childhood. That’s where our explanation ends. Go visit yourself. There’s a great story. 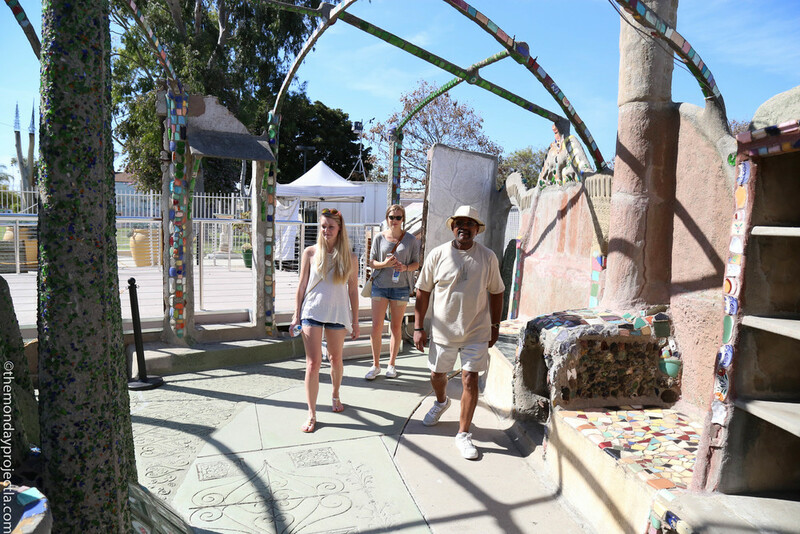 Take the metro Blue Line and exit Watts station, where you are about a five minute walk from the Watts Towers. Tickets are $7 for the docent led tour. 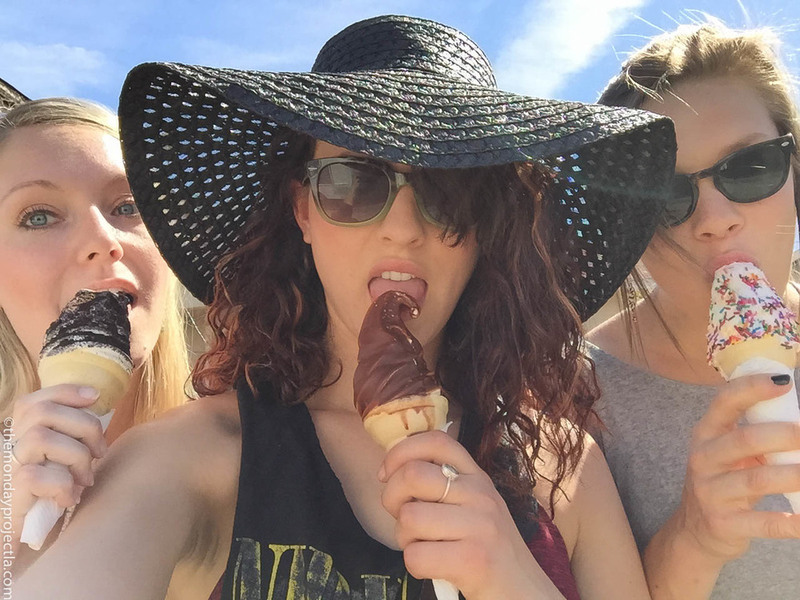 Be sure to check out the website for tour times and more info. Along your walk check out the historic Watts Station, built in 1904. Sam purposefully chose to buy a plot of land close by this station so people could easily access it along the railroad.